Site think tank that was founded in 2000 on the initiative of the graduates of the National University of "Kyiv-Mohyla Academy". The organization's mission is to promote democratic values ​​in the Ukrainian society, the formation of an effective and balanced public policy in Ukraine, the political and legal culture of citizens and politicians. 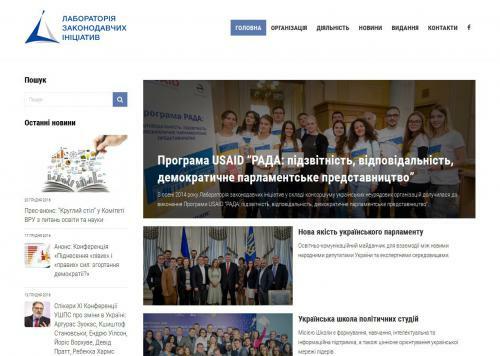 This site contains an archive of the journal "Journal of parliament", firm news, forum, ekspertno analytical materials about the features of state authorities in Ukraine, the issues of domestic and foreign policy.